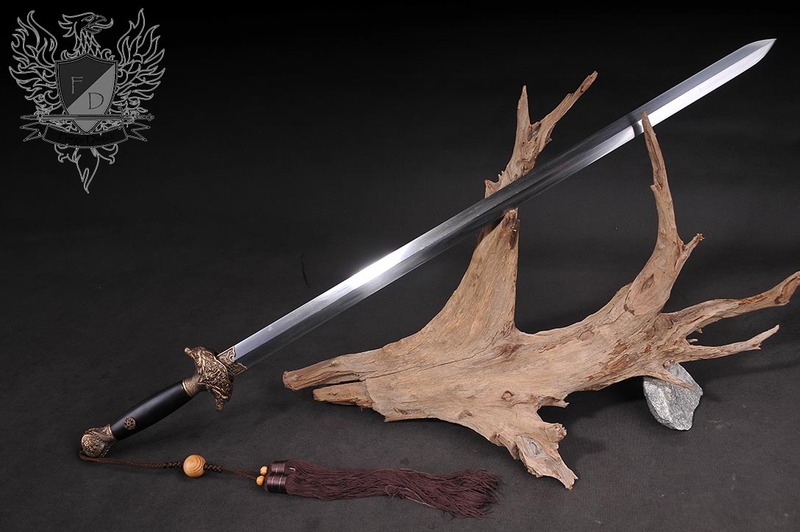 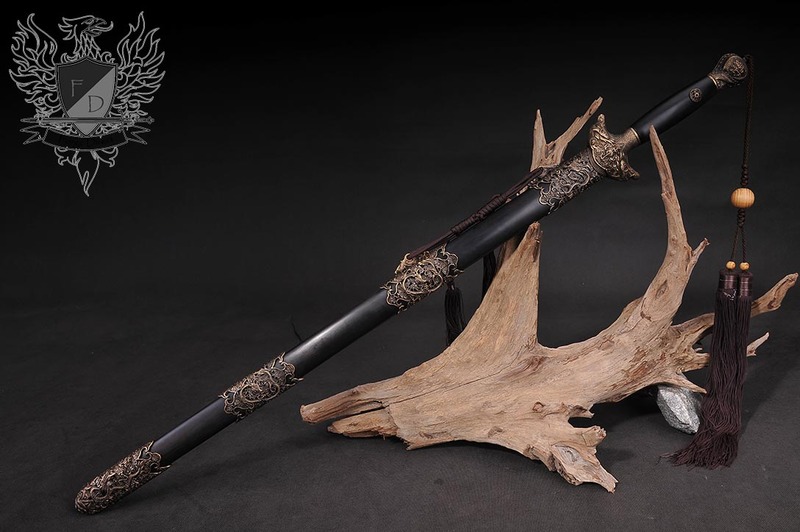 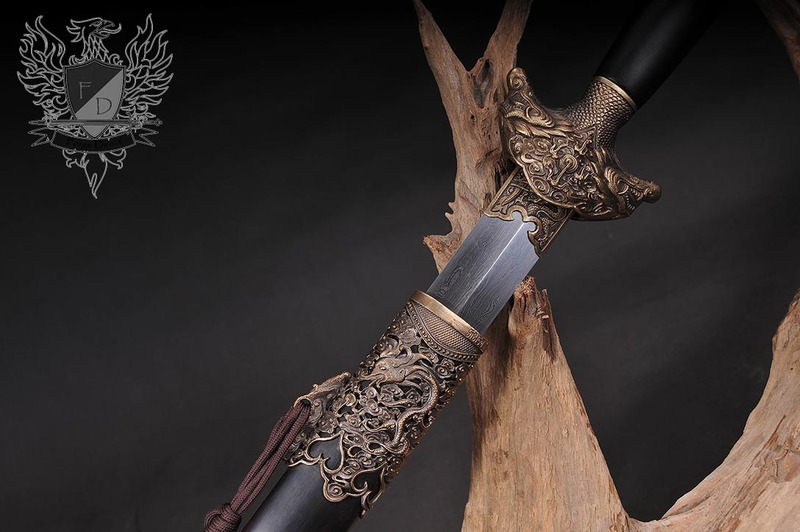 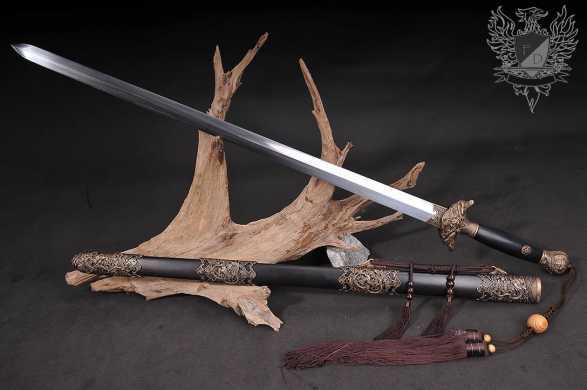 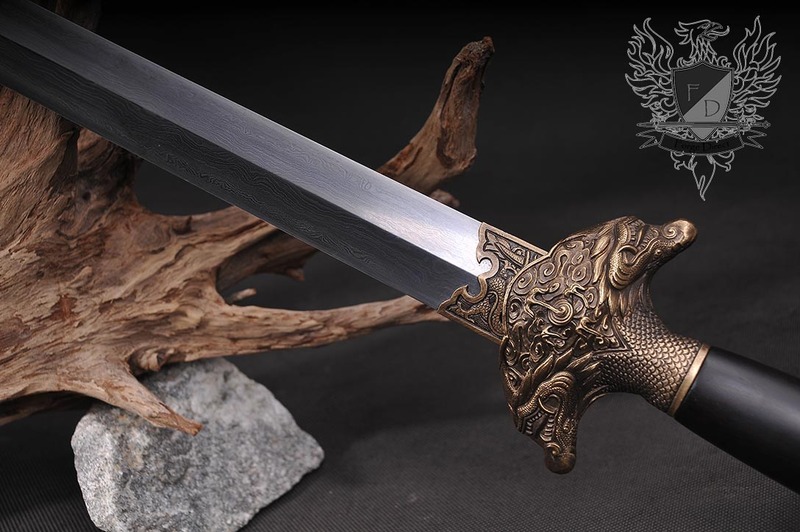 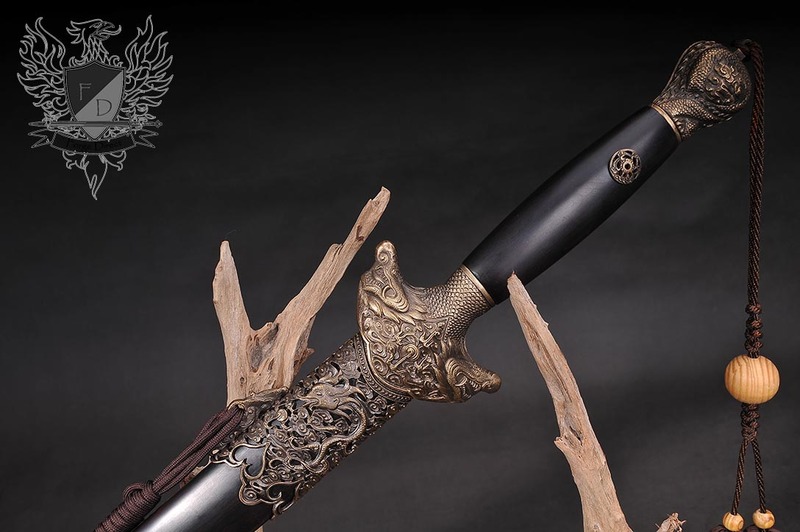 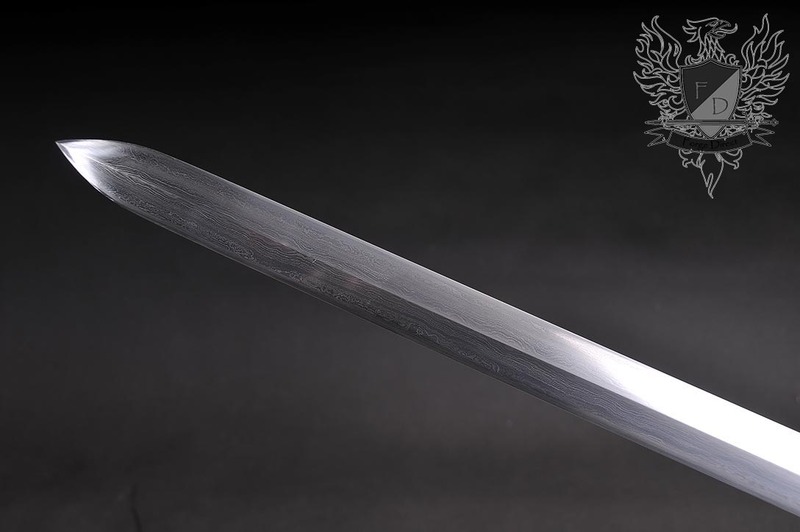 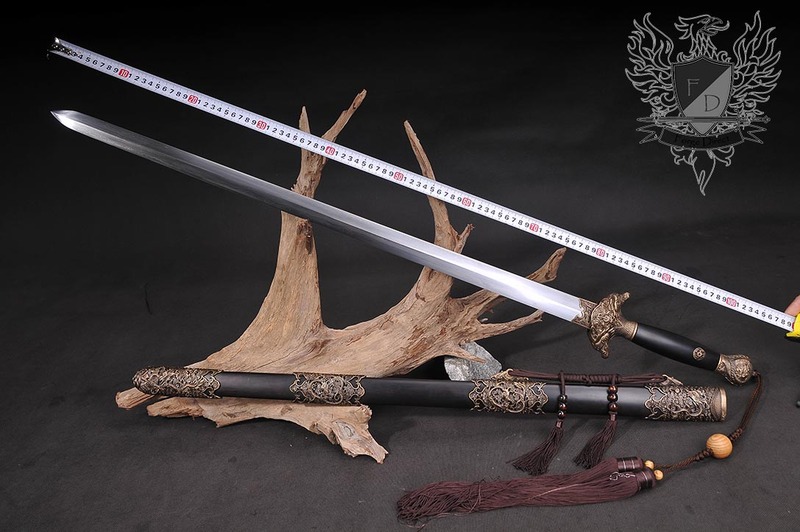 The stunning Flame Dragon Jian is a sword is the perfect balance between looks and raw functionality. 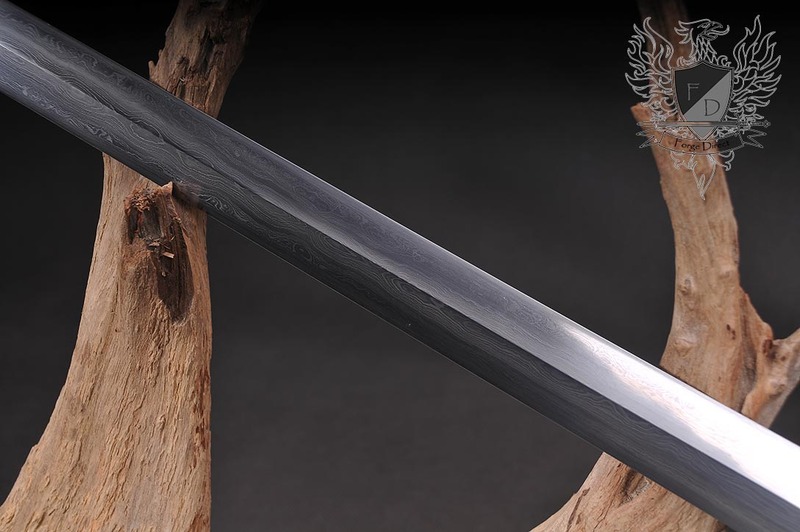 The 1095 carbon steel, mastersmith forged blade is folded in the traditional style to give the steel an attractive, damascus pattern and then professionally polished to bring out the detail and sharpen the edge until it is paper cutting sharp. 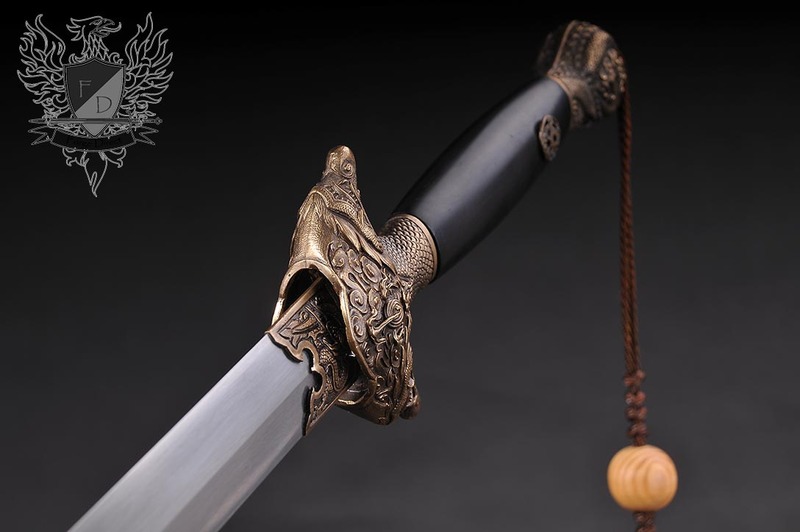 Designed primarily for precision thrusts the blade is also capable of shearing cuts and is balanced for true martial arts applications. 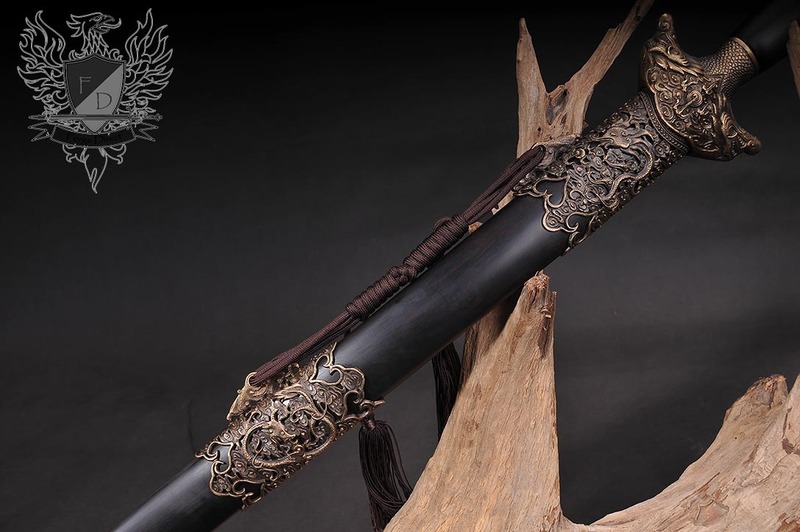 The scabbard and the hilt is richy decorated with brass dragon themed fittings, hence it's name and while ornate every part is there for a functional reason - the hilt latticework shifting the balance to be as neutral as possible, the bands on the scabbard reinforcing - even the tassel can be used to flash into an opponents face before the dragon strikes..
Mastersmith Forged, Folded and Sharpened 1095 Carbon Steel blade with art finish polish. 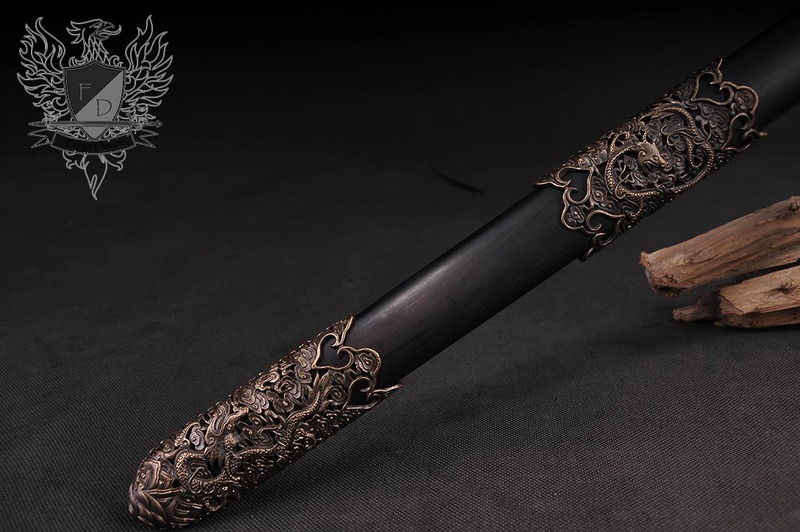 Premium black ebony and hand sculpted brass fittings.